Hosts China have every chance of causing an upset by outplaying some powerful major-winning lineups at this week’s World Cup team competition at Mission Hills, according to Liang Wenchong. Ireland, represented by the last two U.S. Open winners in Rory McIlroy and Graeme McDowell, are the title favourites while Germany are likely to feature on the leaderboard with world number four Martin Kaymer partnering Alex Cejka. South Africa are also expected to mount a strong challenge with U.S. Masters champion Charl Schwartzel combining with 2010 British Open winner Louis Oosthuizen. "If China were to win, and I think we have a strong chance, it would be wonderful for the growth of golf in this country," Liang told Reuters in an interview ahead of the $7.5 million event that starts on Thursday. "There is going to be a lot of pressure on Zhang Xin-jun and myself but at the same time we can use that as motivation. We should have a lot of Chinese supporters following us." Liang, a 16-time winner in his career, was 95th in the world rankings in May but has since slipped to 252. Zhang is down at number 647 despite finishing tied for 13th in the WGC-Champions Tournament in Shanghai at the start of the month. 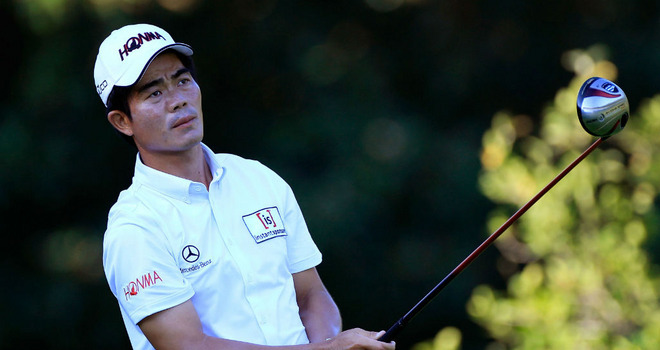 "This is going to be another good opportunity to promote golf in China," said Liang. "But win or lose the fact China is participating and the tournament is being held here will have a huge impact. "There are many strong teams here like the German team with Kaymer, the Ireland team and there is the South African side who also have two major winners. "We face a big battle if we are to win. If we can get off to a good start, that will be the key." The 33-year-old Liang ignored drizzling rain to walk the host Blackstone course on Monday. "It’s the first time I have been to Hainan Island to play golf and it is an excellent course," he said. "It looks very special and there is a lot of volcanic rock so it is unique. This is a huge project here — we Chinese don’t do things in small measures. "It is an honour to be representing my country and I am very proud to have the China flag on my shirt," added Liang.